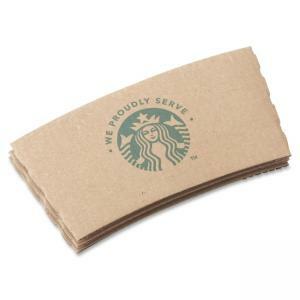 Branded cup sleeves are designed to fit 12, 16 and 20 oz. Starbucks hot beverage cups. Textured design provides a good grip, and the sturdy, thick paper insulates your fingers from the heat of your beverage. Recyclable sleeves are made of a high percentage of post-consumer fiber.